Monday, May 15, 10 a.m.—QUECHEE—The Vermont Institute of Natural Science is hosting an exciting research symposium Monday, May 15, 10 a.m.-2 p.m. The science symposium is designed for students, peers, teachers, parents, and other community members as well as representatives from various local and state environmental agencies. Throughout the year, VINS science educators have worked with several local middle schools, whose students will share their scientific research findings on important issues facing their communities and the world as a whole. Celia Chen, Ph.D., research professor of biological sciences at Dartmouth College, will be the keynote speaker. She will share her own experiences in research and offer advice and inspiration to budding scientists. Fashioned as the capstone of the middle-school component of VINS school programs, the science symposium showcases the final products of students’ work during the course of the school year. VINS science educators help students define a community problem within the area of focus, assist with locating resources, and support teachers through direct student instruction. 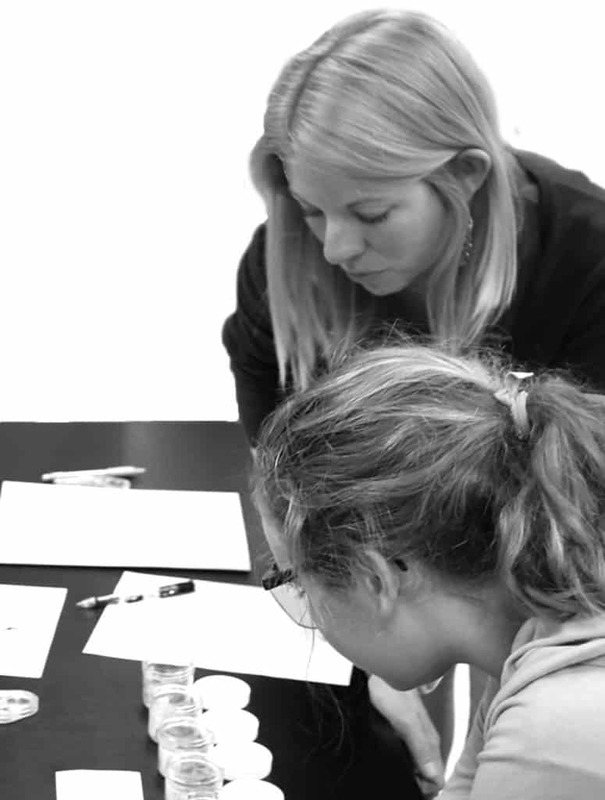 In addition, the science educators partner with teachers to incorporate the science symposium into their science curriculum, and act as a resource for teachers in place-based learning and integration of the NGSS science standards. All participants will be able to engage in hands-on learning opportunities and other activities run by VINS educators. In addition, a raptor program will take place from 11-11:30 a.m.
For info, visit vinscee.org/school-programs.html. VINS is located at 6565 Woodstock Road, Quechee. A student does research for a science symposium, with the culmination being presented at VINS, May 15.